Chandigarh: The Punjab Pradesh Congress Committee President, Mr. Partap Singh Bajwa, while strongly opposing the proposed 12 per cent hike in power tariff, said his party would organize mass mobilization on this issue. He said this would be the last straw on the back of the people in general and industry in particular. He said what was all the more surprising was the fact that the move had been initiated at the time when the PSPCL had been in profits during the last two years. The people would not tolerate this additional burden. He said the Congress would launch agitation against the Parkash Singh Badal government on this issue. He said on the industrial front, the situation was dismal as evident from the ASSOCHAM study despite the tall claims being made by the Deputy Chief Minister, Mr. Sukhbir Singh Badal, who had some months back organised mega investment summit to show case Punjab. Mr. Bajwa said while new investments had stopped coming to Punjab, the projects already in pipeline had suffered a cost overrun of about 47 per cent to Rs. 57,000 crore. About 70 per cent of the new projects had remained non-starter in 2013-14. He said as per this study, the growth of new investment had declined and slipped to an average negative growth rate of 43 per cent over the last three years. From about Rs. 33,000 crore in 2008-9, new investment had decreased to about Rs. 4600 crore. He said already, various organisations were up in arms against the government. Punjab had been subjected to capital flight due to the concessions granted by the NDA government to the neighbouring states in which Mr. Sukhbir Singh Badal was the Minister of State for Industries. The PPCC chief Punjab could not afford any down slide as lakhs of Punjabi youth were already unemployed and there was no creation of new employment avenues. The situation was having serious social fall out. He called upon the government to reject this move by the power corporation as it would have disastrous effects on the state’s economy. He said power tariff was being increased every year and such a situation could not be allowed to go on. 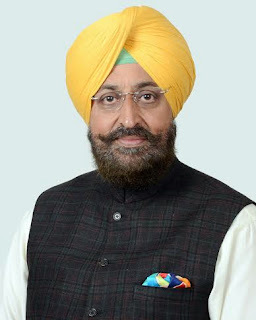 The Punjab Pradesh Congress Committee President, Mr. Partap Singh Bajwa, today demanded that following the resignation by the Tourism and Cultural Affairs Minister, Mr. Sarwan Singh Phillaur whose son’s name had surfaced in the drug racket, it was logical that the Revenue Minister Mr. Bikram Singh Majithia be sacked without any delay. In a statement issued here today, the PPCC chief said the name of the son of Mr. Sarwan Singh Phillaur had been linked to the drug smugglers and the investigation in that case was being conducted by the Enforcement Directorate. He said this was the first head of a ruling party leader to roll in the drug smuggling racket which ran into thousands of crore. He said the first name to surface in the drug smuggling racket was that of the Revenue Minister Bikram Singh Majithia. His name was revealed by the cop turned smuggler Jagdish Bhola. After he revealed Mr. Majithia’s name to the press during one of his court appearances, his security had been increased and he was being kept away from the media. He pointed out that during the Lok Sabha elections, the biggest issue that had emerged all over the state was the drug smuggling. The menace of drug addiction had hit the youth like epidemic. Drugs and other narcotics were being supplied freely and a strong smuggler-police-politician nexus had developed in Punjab. He said Mr. Majithia was being defended as he happened to be the brother-in-law of the Deputy Chief Minister, Mr. Sukhbir Singh Badal. He reiterated the demand for a CBI inquiry into the drug smuggling racket into the state. However, before that, Mr. Majithia must be sacked, he added.